Great Wall Hiking with the Famous Great Wall Adventure Club: Saving the world is now possible with the Great Wall! Saving the world is now possible with the Great Wall! Chinese blockbuster director Zhang Yimou is no stranger to casting Hollywood A-listers in his projects since wooing Christian Bale for his 2011 epic The Flowers of War. While that film made huge bank in China, it failed to make the desired impact overseas. Zhang is hoping that his latest opus, The Great Wall, will do better internationally, packing it with stars from home and abroad. Matt Damon and Andy Lau head an all-star cast that also includes Willem Dafoe and Games of Thrones scene-stealer Pedro Pascal. Set in the 15th Century, The Great Wall is the story of an elite force of soldiers who must defend the titular battlement - and the Earth - from an attack by giant mythical creatures. 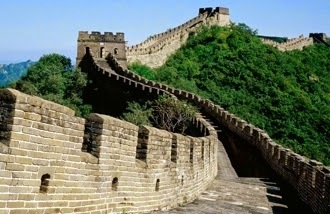 After seeing the Great Wall up close and personal you'll then get to see it on the silver screen! Best Discount Hotels and Hostels in China!